If you love chocolate but are trying to give it up then this is the recipe for you. It is free of refined sugar and dairy and can be tailored to suit sugar free or paleo diets. You can modify this recipe by sprinkling nuts / shredded coconut or dried fruit into the moulds or onto your tray before adding the liquid. 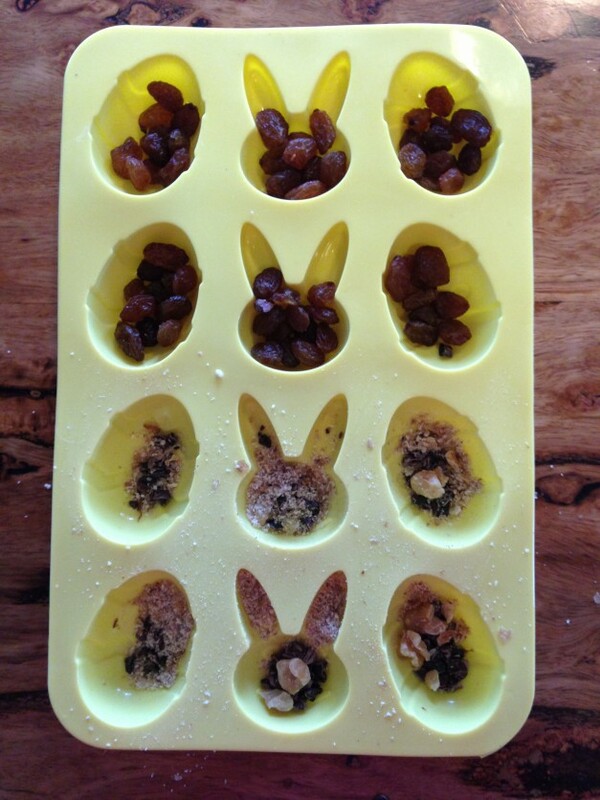 It’s great for kids – we made these at Easter with a mix of ground walnuts and sultanas in the base. Coconut is predominately a saturated fat but there is nothing to be afraid of. Being a saturated fat is part of what makes it so good. A saturated fat just refers to the structure of the fat molecule – it is less prone to oxidation and rancidity. Coconut contains essential fatty acids and it is these fatty acids that provide some of the amazing properties of coconut. It is antibacterial, antiviral and it assists in the lowering of cholesterol. Add cacao, vanilla, salt & sweetner and mix to combine. Pour onto baking paper set in tray or silicone moulds.